Database Setup - We setup a database in our vibration analysis and reporting software. This data is stored permanently for review and future comparison. Data Collection - BSC comes to your plant for machinery vibration data collection. Our technicians perform a thorough mechanical inspection of your machinery at that time. Data Analysis - BSC performs analysis of the vibration data. 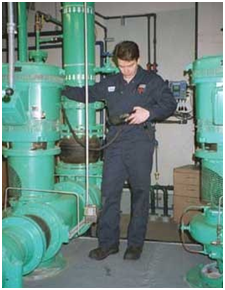 We have a staff with over 100 years of cumulative vibration analysis experience. Report - BSC provides you an easy to read report with a summary of the findings and specific repair recommendations. Having repair recommendations can save your company money, help avoid unplanned stops, and expand the life of your equipment.